Cornwall Glass to grant £400 to 40 community groups celebrating 40 years in business! Cornwall Glass is a family owned business specialising in the manufacture, production and installation of glass and glazing products for commercial, trade, architectural and domestic customers. With 15 branches throughout Cornwall and South West, the company have supported local communities since it began in 1978. The Cornwall Glass Fund was established in 2009, managed by the Cornwall Community Foundation (CCF) to provide funding for community groups. 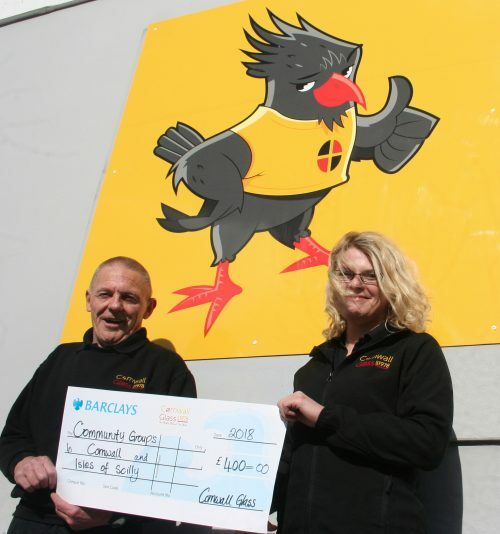 The Fund has grown and has invested more than £60,000 to 65 community projects within Cornwall and the Isles of Scilly to date. The challenge is how to reach all deserving groups to give everyone an opportunity to apply . 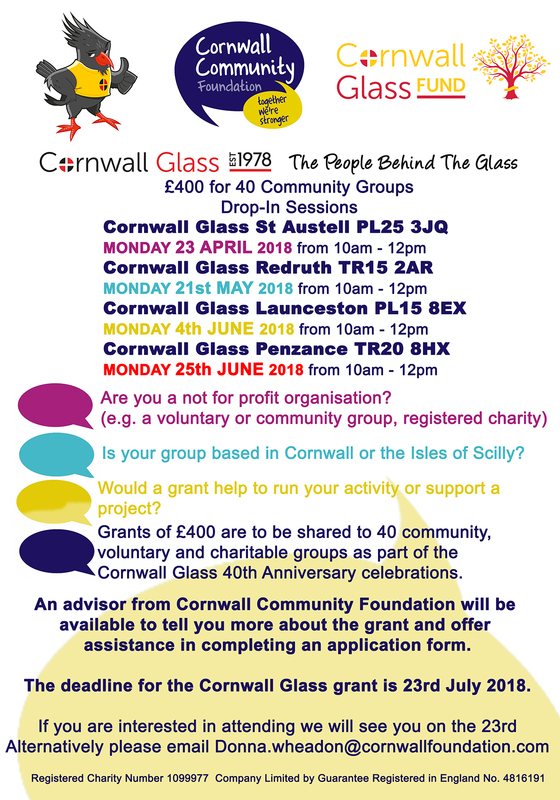 Over the coming months working alongside CCF, Cornwall Glass will be hosting four drop in sessions for locals to call in and get help and advise on how to apply. Host branches will be St Austell, Redruth, Launceston and Penzance.